Your classic brownie recipe, without the junk. 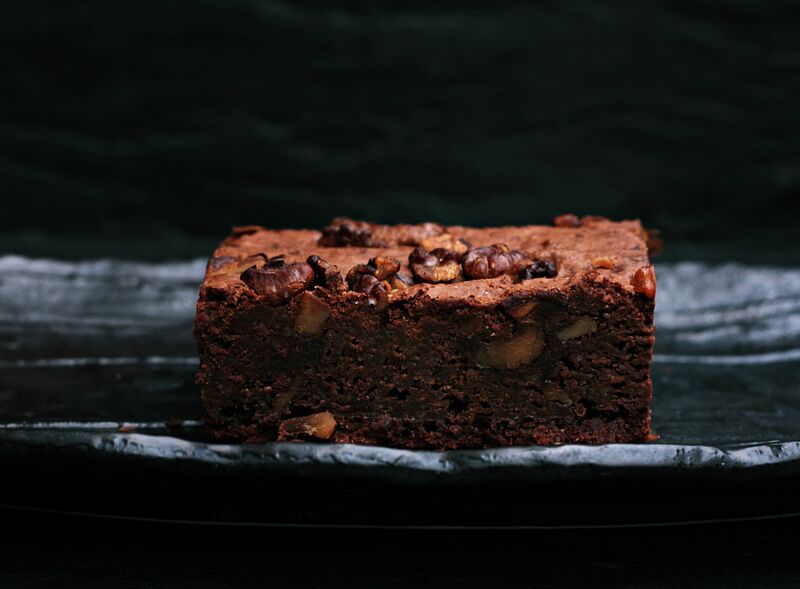 These decadent double chocolate and creamy almond butter brownies are sure to impress. This is my go-to chocolate brownie recipe. A true hit with family and friends, these brownies are made with decadent double chocolate and creamy almond butter! 1) Preheat oven to 325 degrees and grease a baking pan with coconut oil. 2) In a food processor, blend almond butter, eggs, honey and vanilla until smooth. 3) Add in cacao powder, salt and baking soda and keep the food processor on until a smooth batter has formed. 4) Stop the blender and fold in dark chocolate to the mixture. 5) Remove the mixture from the blender and pour into your baking pan. Bake for 25 minutes. 6) Remove brownies from the oven and leave to cool (they may still appear slightly soft inside but cooling them will help with this). After fully cooled, cut the brownies into squares and enjoy! Serve with guilt-free ice cream for a delicious treat.